Disclaimer: This post is sponsored by REBBL, but all thoughts are my own. Coffee Chocolate Brownies are in order. You see, December is the time of year where we all tend to splurge a little, right? 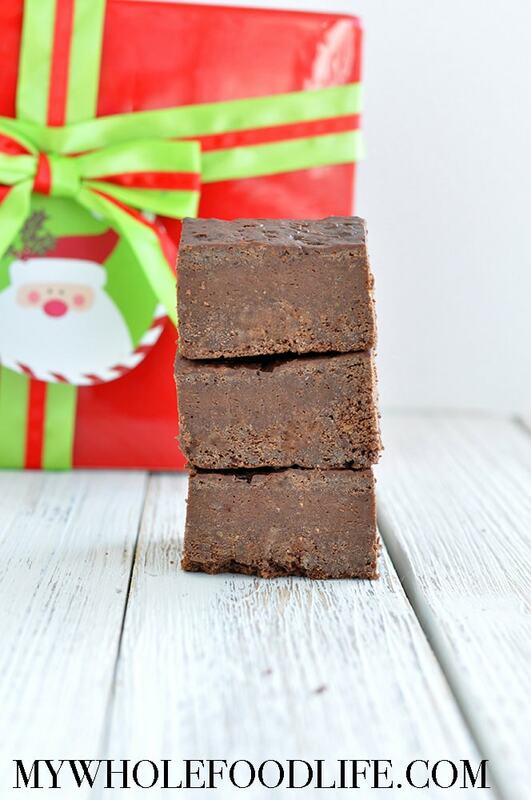 So I am helping you out by sharing this new and easy brownie recipe. 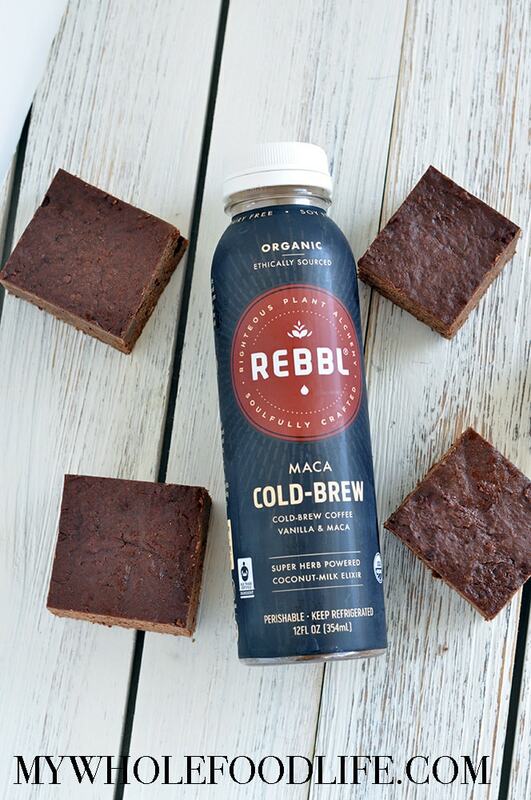 For the coffee element of this recipe, I used REBBL’s Maca Cold-Brew Coconut Milk Elixir. I love REBBL products because even when you are indulging, you are getting super herbs like Maca. Maca root is a super herb that is used to enhance vitality, stamina and energy. So it’s perfect for this time of year since we are all out holiday shopping! If you wanted to bump up the indulgence factor even more, you could drizzle a little melted chocolate over the tops of these brownies. Or serve them with a dollop or coconut whip cream. Yum! REBBL also donates 2.5% of revenue to Not For Sale to support areas of the world that are vulnerable to human trafficking and exploitation. So every time you purchase a bottle of REBBL, you are also helping out a good cause. To find REBBL products near you, use can check out the store locator. You can also follow them on Facebook, Instagram and Twitter. In one bowl, add all the dry ingredients. In a sauce pan, add the chocolate chips, maple syrup and coconut oil. Stir together until everything is combine and the chips have melted. 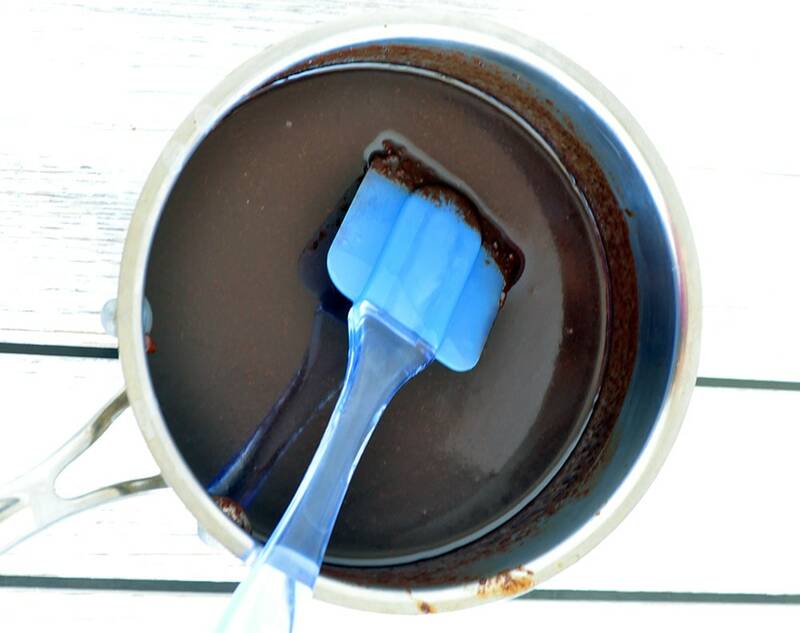 Add the chocolate mixture to the dry ingredients. Stir. Lastly, add the flax eggs and REBBL Maca Cold-Brew and stir until everything is well mixed. Transfer batter to an 8x8 baking dish. I lined my dish with parchment paper. Bake for 25-30 minutes or until a toothpick comes out clean. Enjoy! Wow! Just visited your page. All of your recipes are looking awesome and assuming it would be more delicious to eat them Can’t wait anymore to try them at home. Thanks for sharing with us.